You’re cordially invited to attend our every third Thursday of the month Book Club for grown-ups. This month's book is All the King's Men By Robert Penn Warren. Moderated by longtime bookseller Michelle and events gal Suzanne, our book club is multi-generational, friendly, casually well read, and one of the best groups to talk about a book with we've ever met! There's no need to register or RSVP. Just show up and join the lively discussion. As always, our club books will be discounted 10% every month. Additionally, if your book club buys 3 or more copies of one title, we’ll happily discount any and all other book club’s titles too! The CENTRAL SF CLASSIC LIT BOOK CLUB will discuss All the King's Men by Robert Penn Warren. The Coffee Cake Book Club meets the third Wednesday of each month at 11:00 a.m. If you can't come, email your comments to Valerie and we'll share them with the group. Chicago Public Library discusses All the King's Men. Robert Penn Warren , All the King's Men. 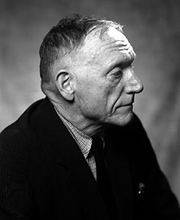 Robert Penn Warren is the only person to have won Pulitzer Prizes for both fiction and poetry. He served twice as Poet Laureate of the United States. Robert Penn Warren is currently considered a "single author." If one or more works are by a distinct, homonymous authors, go ahead and split the author. Robert Penn Warren is composed of 17 names. You can examine and separate out names.